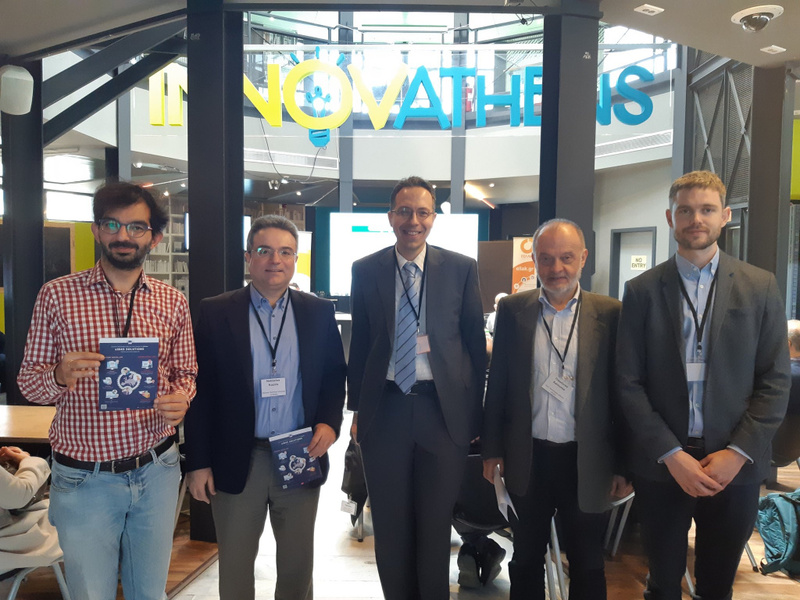 The Connecting Europe Facility (CEF) digital team visited Athens for the “CEF Building Blocks Workshop" and met with representatives from the Public Administration, the Academic Research Community, and the Enterprise. 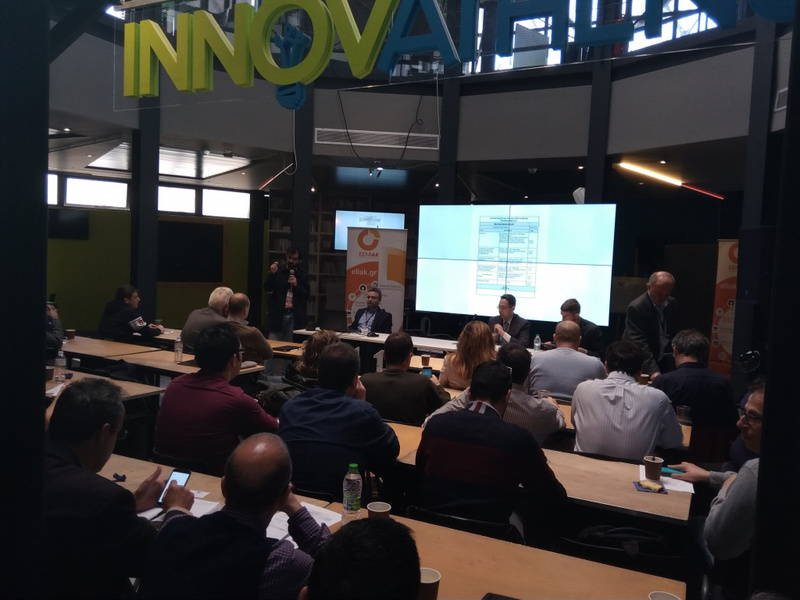 The Workshop was organized by the Open Technologies Alliance (GFOSS) in cooperation with the Chief Digital Officer of the Municipality of Athens, Konstantinos Chambidis and the European Commission, on Thursday, March 21st, at Technopolis City of Athens. The aim of the meeting was to show how - in conjunction with the CEF building blocks - public administrations can build user-centric digital public services for citizens and businesses. The Connecting Europe Facility (CEF) is a key EU funding instrument to promote growth, jobs, and competitiveness through targeted infrastructure investment at European level. The CEF Digital Service Infrastructures (DSI), also known as building blocks offer basic capabilities that can be reused in any European project to facilitate the delivery of digital public services across borders and sectors. The basis for the CEF building blocks are interoperability agreements between European Union member states. The aim is to ensure interoperability between IT systems so that citizens, businesses and administrations can benefit from seamless digital public services wherever they may be in Europe. Professor Nectarios Koziris, Dean of the School of Electrical and Computer Engineering, National Technical University of Athens, and GFOSS Vice President, in his opening remarks highlighted the importance of building communities of people interested in working together for the public good. He spoke about the importance of CEF building blocks as open source software and explained that they are a “good practice” of how basic capabilities can be reused for the delivery of digital public services across Europe. Among others, building blocks foster cooperation between stakeholders, reduce costs and time and offer a single digital process. The session began with an opening speech from Konstantinos Champidis, Chief Digital Officer for the city of Athens who explained that Athens is determined to ensure the city would leave no one behind in its journey to become an inclusive “smart city”. Nils Mc Grath (CEF Stakeholder Management Office, Directorate General for Informatics (DIGIT) presented ways in which the European Commission helps public administrations to create eIDAS (Electronic Identification and Trust Services), as well as the use of CEF building blocks in Europe. Konstantinos Kapsouropoulos, (Policy Officer, Communications Networks, Content and Technology), presented in detail the eIDAS regulation and the services provided by the European Commission for Electronic Identification and Confidence Services for Electronic Transactions. Paul Harris (Evaluation Manager, CEF Telecom, Innovation, and Networks Executive Agency), presented CEF Telecom's programs and funding opportunities. In the follow-up discussion, the speakers answer questions and gave clarifications on eIDAs and CEF Building Blocks. According to the Open Technologies Alliance (GFOSS), the aim is the development of all CEF projects that have been implemented in Greece, as well as the implementation of good practices in all EU countries.